In the second novel of the COUNTERMEASURE SERIES, Trevor and Cassandra Bauer are starting a new life across the pond where they continue their search for Trevor’s parents while he still works as an NSA consultant. When George Miller, his best friend, comes across what looks to be a new piece of information on his parents’ case, they embark on a new adventure following a digital trail to Saint Petersburg. If anyone was to look at my book shelf, they would think some form of romance was my favorite genre. But I have to tell you, they would be wrong. My first love in reading is mystery/suspense/thriller/crime/police procedural. And this series just makes my list. What we have here is a mix of all I love including romance. I couldn’t ask for more. I loved the first book and I loved the second. 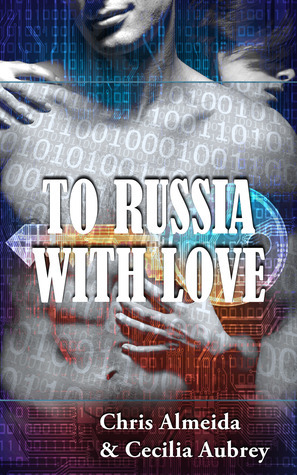 This book takes our duo team to Russia to aid in the endless search for Trevor’s parents. We also get a great cast mix with different POV’s that take place to add different elements to the overall story without distraction. The writing, the plot, the overall appearce of the novel even in eBook fashion is stellar. And even though I saw the writing on the wall for Jessica when she went to Stephen’s office and well, anyway, I still enjoyed the enfolding of the story. And I felt myself drawn to that storyline a lot despite I was right about every twist along the way. The Nelson thing was a bit creepy. I wanted to say stalker much. But I like how things ended there. Overall, a really good read and one you should read yourself. My book boyfriend is Trevor. But I’m going to give you Stephen because I gave you Trevor already.